You can work with WordPress in many different ways depending on your goals. For example, you might be running a web agency exclusively on WordPress, or you might be learning it because the freelancers you’ve hired are just too unreliable or expensive. WordPress is confusing, and that’s probably why we regularly get emails from our fellow Beyonders asking us what plugins we’re using to do certain things. That’s why we’ve put together this list of Recommended WordPress Plugins and Tools for WordPress websites. No matter what your situation is, WordPress has what seems to be an endless learning curve and can sometimes it can be disheartening to work with. I mean, just last year you mastered Visual Composer and now you’ve made the switch to Beaver Builder, a better Page Builder. But making the switch means you need the time to not just learn the plugin, but also learn the themes it integrates best with and also take the time to test the third party addons that are available to it. There are many things you can get back in life but the one thing you cannot get back is time. And we’ve personally lost A LOT of time reading reviews and trialling WordPress plugins and third party tools for our own business. While the BeyondBeaver.com team are researching, we often ask ourselves “can’t someone just tell us exactly what we should use”. I mean, when we read reviews, they compare three different products and then finally conclude with an ambiguous summary that leaves us more confused than we were before we’d read the post. As a web agency, we’re really just wanting to have a web agency write a list of the exact tools they’re using and why. I mean, if they work, and the web agency is running and scaling well, and the pricing suits us, it makes sense to do what they’re doing., right? But there just doesn’t seem to be a complete list anywhere, and we’re sure you’re wasting time like us trying to find it. Below is the list of plugins and tools we’re currently to power our web agency, travel blog and blogging website, and we hope this list saves you time and pieces everything together. Now, the entire Blueprint of plugins we’re using. Here’s what we’re using currently for our websites and what we recommend you try. They’re affordable and they do their job really well. 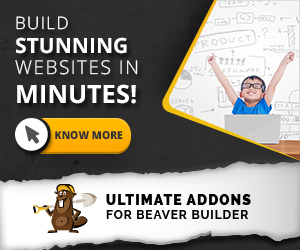 We use Beaver Builder as our Page Builder to build all our websites. If you’re here, we’re sure you are,, also. Page Builder for designing and coding websites and landing pages for us and our clients. Your agency website and all your client websites. Have good documentation or forums for quick answers to our questions. We’ve used the StudioPress themes and the Genesis framework and you can google a question and find the answer to anything. This makes learning easy. This plugin has completely changed our business. From having to manually code in columns for pages with Genesis to being and to drag-and-drop content, this has been a blessing to our whole agency. The community behind it is also the best out of any plugin in WordPress and you definitely need to join the Facebook Group if you haven’t already. We won’t bore you with all the details as you’re probably already using Beaver Builder, but we will say that we also like their pricing structure. We build our client websites with their Beaver Builder Theme and our Child Themes and we’ve literally cut our website turnaround time from start to finish in HALF, all for only $199 and $119.4 for each year thereafter (we use the Pro package as it includes the powerful Beaver Builder theme that we recommend). And those prices are for us to use this plugin on AS MANY WEBSITES AS WE WANT. Something that we’re also using for our web agency that has significantly increased the speed we build websites with Beaver Builder is the third-party addon called Ultimate Addons for Beaver Builder (UABB) plugin. It adds a heap more modules that you can use to build pages and also you NEED to check out their SECTIONS feature that comes in the plugin at no additional cost. They’re basically pre-designed rows that you can drag into the page. Click here to check out UABB. We recommend this plugins to web agencies who are looking to build powerful websites quicker with WordPress. We also recommend this to small business owners who are looking to build a website for their own businesses themselves. We use Active Campaign as our Email Marketing and Email Automation software. Since using it we have grown our Mailing list like never before and the Automation features are the easiest we’ve seen to set up. We highly recommend you try this software. It has a FREE TRIAL – something we all love. In our company we take emails seriously. We email out our Beyonders on BeyondBeaver.com with tips and information, and also regularly email the clients in our web agency with tips and information on what things like new services we’re offering and things they can be doing to increase their chance of success online. We needed software that allowed us to do these two types of things. Your agency website and clients who have the budget to start taking email automation seriously. Ability to mass email our web agency clients and also our Beyonders. A wide-range of professionally designed email templates. Marketing automation and contact-tagging for BeyondBeaver.com so our Beyonders only receive information relevant to them on a frequent basis. Marketing automation for our web agency clients to help keep our agency and the services we offer fresh in their minds. Marketing automation also allows us to put aside a couple of days to write 10 tips that are automatically emailed to our web agency clients once a week for 10 weeks. This means we’re in regular contact with our customers to remind them they aren’t forgotten once we launch their website. We tried Mailchimp, Aweber and a couple of other Email Marketing softwares and Active Campaign is by far the email marketing software we’re recommending, and it’s extremely affordable. Firstly, the interface is extremely slick. You feel like you want to write emails – something which, if you’re writing lots of emails, makes a huge difference to how successful you are with email marketing. Secondly, the drag-and-drop automation builder is extremely intuitive. When we logged into Aweber we had no idea how to set up an drip campaign (a drip campaign is where you set up a series of emails to send over a period of time such as once a week for 10 weeks etc). Below is an example one of the wizards Active Campaign offer – an Abandoned Cart automation workflow. Once you select the type of automation, it asks you to fill out some popups which, once complete, gives you a working automation workflow (you can also completely set up a custom one yourself). Active Campaign comes with wizards that guide you on setting up a specific type of automation. For example, in this animation, we selected to set up an Abandoned Cart Reminder (so, if the user adds a product to cart and leaves it sends them a reminder after a couple of days to complete the checkout). Nothing so far. The templates are great, it is intuitive and integrates with a lot of software out there like Gravity Forms. The first email we sent people landed in the trash but all the other emails since have not. We think this might be because we didn’t have any credibility but once people opened the first email and proved we weren’t spam, we’ve have a near perfect delivery rate. If you’re a blogger, we recommend you use this to email your mailing list because it’s affordable and was definitely the best Email Marketing software out of the ones we tried. If you’re running a web agency, you should definitely be emailing your clients. For $9 a month (Active Campaign’s lowest plan and one you could start with for 500 subscribers), the value you’ll get back into your web agency is definitely worth the money. Thrive Leads is incredibly powerful in helping you build your email list so you can directly market your products and services to your customers. We’re currently using this plugin on this website BeyondBeaver.com. Building a mailing list is the most powerful way to build a relationship with customers and we’ve experienced this first hand through the blog on our website BeyondBeaver.com. We send out regular emails offering tips and advice and our readers can simply hit the reply button if they have a question. If you aren’t building a mailing list, you really need to start now, today even! Your agency website. Could be difficult to teach your website clients how to use this as it uses a different Page Builder to Beaver Builder and could be very confusing. Also, the conditionals you can set up (i.e. only show it on the home page or post etc) could confuse your clients. If you do want to use this on client websites we recommend selling a service like “Build your email list” and you manage Thrive Leads on their website for them. Welcome mat capability as this has been shown to increase the conversion rate of websites. Slide-in forms that show as you scroll down the page to promote our offers. In-content forms so that we can automatically add offers to our blog posts. Firstly, the pricing is very justifiable at $67 for a one-site license and $97 for use on all your websites. They say a product is priced well when you purchase the product without really noticing what it costs and this was definitely the case for us. We looked at competitors like OptinMonster (which is said to be really powerful, also) but we needed the Slide-in forms and that put it up to $199 a year! We got the $67 dollar version of Thrive and it came with all the custom forms included in the $197 version of OptinMonster. Now, we’ve been using this for a month now and love it. We weren’t using a lead capture plugin before this so we can’t compare results, but we’re getting a decent conversion rate as per below and we’ll be looking into the A/B testing features very soon. We love how below you can see how a campaign is doing in each place you place it. For example, we are currently running our 30 Beaver Builder tips in 30 days blog series and as part of that campaign we have a Scroll mat form, In-content form and a Slide-in form. As we can see below, they are all converting about the same. We can’t wait to try out this plugin with multiple campaigns on our website. If you look at the above screenshot, you can see that you create a campaign (ours is highlighted in blue) and then under that campaign you create the different forms for that campaign. You get the overall conversion rate for the campaign (in the blue) and then a breakdown below for each individual form. The Page Builder is cumbersome but the pre-made designs look great as they are so we just don’t change the designs too much and thus don’t have to struggle with the page builder. We recommend this for building up your email list 100%. The Beaver Builder plugin provides a Contact Form module and an Email Subscriber module, however for the more complex forms we use Gravity Forms. Form software for building complex forms. The drag-and-drop Beaver Builder page builder that we use to build all our websites includes some form modules that are perfect for simple forms. Sometimes, however, we’ll need to add drop down fields and other complex fields like checkboxes and radio buttons. Gravity forms allows us to build complex forms extremely easy. Your agency website and your client websites. We use Gravity Forms internally for our online brief and also in client websites where the client needs more complex forms. Record in WordPress the form entries. (This is extremely important for us. Imagine if someone is asking us or our clients how to pay for something and the email gets lost and money is lost. With Gravity Forms, incase the email doesn’t reach us, it is recorded in the database so we can see the information people complete in the form). Ability to use pass data between forms (query strings). We like Gravity Forms and all the addons it offers. It is probably the most popular Forms plugin for WordPress and, because of this, it integrates with a huge (and growing) selection of services. For example, on BeyondBeaver.com we are using Active Campaign as our Email Marketing and Email Automation software and it integrates very nicely with Gravity Forms. When someone fills out the gravity form, their details are sent into Active Campaign automatically. But we didn’t always know we were going to use Active Campaign. We had a gravity form already on the website and at a later date decided on Active Campaign. Because we were using Gravity Forms, we simply installed the Active Campaign addon for Gravity Forms and were ready to go – no need to change our form software. We also use addons such as the Poll addon and Survey Addon so people can fill out a form on our websites as a poll. The default styling of the forms is a bit weak and could definitely use some improvement. It can also be difficult to override the default Gravity Forms styling using CSS if you don’t know what you’re doing. We usually disable the default Gravity Forms CSS and style our forms like we discuss in this article here. If you haven’t already, try Gravity Forms. It’s affordable and extremely extensible and reliable. We’ve used this for over 4 years now and never had a problem. We actually haven’t ever had a requirement for a form that Gravity Forms could not do. User Switching is an extremely valuable plugin for WordPress as it allows you (the admin) to log in and use WordPress as other user roles and users to see what they see when they access their WordPress account. Great for troubleshooting problems quickly. Allows us to quickly login as Customers or as our Web Agency clients to see what they see when they login to WordPress. User Switching saves us time by not having to look up the username and password for accounts on the website. We can quickly switch to their user account and experience WordPress as if we were them. As a web agency we have many clients who manage their own website. They all have different needs, so restrict their access in different ways. Sometimes a client may lodge a support request to say something isn’t working as expected or that they cannot access a specific section of their website. We login to their site with our admin account and use User Switching to quickly switch to their account and see what they’re seeing to help troubleshoot the error. For BeyondBeaver.com we sell products in our shop and sometimes (rarely) they may encounter an error. We use User Switching to login as them and see the error they are experiencing and then we fix it for them. Easily login as our customers to see issues they are experiencing and troubleshoot problems. This speeds up our client support process. Not be an overly large plugin as we already are able to do everything else in terms of Whitelabelling using Adminimize and User Role Editor. This plugin saves us a great deal of time and effort as we don’t need to remember the usernames and passwords of other user accounts that we need to troubleshoot for. Once you do switch to a new user, you can always SWITCH BACK to the user you were originally logged in as. So, you can login as your admin and then switch to your website client’s login, fix the problem and then switch back to your admin user – all without having to remember lots of usernames and passwords. Nothing. It’s perfect, has good reviews, is maintained and just works. If you’re managing lots of websites you need this plugin so that you can save time by switching accounts and not having to look up usernames and passwords. User Role Editor is our favourite plugin when it comes to managing a WordPress website. You can add new User Roles and restrict the capabilities of ALL User Roles on a per User Role basis. Allows us to change the capabilities of each User Role in WordPress to help restrict client access. Some of our clients are more technical, whereas some not. The different needs and technical ability of our web agency customers means that we need to adjust the level of access between each of our clients. Restricting client access in WordPress. Before we hand over the site to the client so they can manage their own website, we create a new user for the client and set them up with the Editor User Role. Next, we go into this User Role Editor plugin and alter the capabilities of the Editor user role so the client can only do the things in WordPress that we want them to. Simplify the Dashboard overall so the user only has access to what they need. This reduces the support tickets we receive from the client as they only see parts of the Dashboard that are useful to them and necessary for the client to manage their website. Restrict access to areas of the website the client does not need to access. Again, if they don’t have a Blog, we need to hide the Post menu item from them. When you alter a WordPress User Role’s capabilities, you enable/disable the ability for all users in WordPress with this user role to perform certain actions and access areas of the website. Most of the time we use User Role Editor to remove a capabilities from our clients. When you remove certain capabilities from a user role, it can affect things like the menu items on the left of the dashboard. So, for example, say we install a third-party plugin and it adds a new menu item to the WordPress admin menu that we do not want our clients to access (maybe it’s a settings page that we’ve configured and don’t want them accidentally changing). We go to the User Role Editor plugin settings page and check whether the plugin has registered a new capability to manage its settings. If the plugin has, we remove this capability from the editor and wa-la – now the menu item is removed from the admin menu and the client cannot accidentally change the settings and cause us a headache. Nothing. It works exactly as advertised and doesn’t need to do anything extra. Below is a link where you can get this FREE plugin. If you’re wanting to know more about how this works we will most likely be including it in our online course How to build a website in just 1 day without knowing design or code (click here to register for the course). Adminimize is great for restricting what areas of WordPress users have access to. Allows us to restrict our website clients to only the areas of WordPress they need to access. User Role Editor (above) allows the changing of capabilities for a user role, as mentioned. So, we use that first and disable capabilities for the editor user role (the user role we give our clients) and by doing this it can sometimes remove some menu items in the main menu in the dashboard – perfect. But other times there will be menu items that we wish to remove that are not tied to a capability. So, we always use User Role Editor first to remove the capabilities, and then we use Adminimize to clean up and remove whatever from the Dashboard that is remaining after changing the capabilities. The same reasons as User Role Editor above – restricting client access in the WordPress Dashboard. For example, we remove admin menu items that the client does not need access to. If they don’t have a blog, having the Posts menu item in their Dashboard would be confusing to them. So, we hide them! Simplify the Dashboard overall so the user only has access to what they need to reduce support and complexities for the client. Restrict access to areas of the website the client does not need to access. This plugin allows you to limit access to menu items and parts of the Dashboard per User Role which is exactly what we need. We generally only have one client managing their website and they get the User Role of Editor so we just hide things for the Editor User Role, just like the below screenshot. Notice how the Checkboxes are checked only for the Editor User Role (a checked checkbox means it will be hidden from that User Role). So, in the below screenshot we are running with our example here and hiding the Posts menu item from the Editor User Role that our client has to edit their website. Also, what’s more, you can export and import settings. This is great if you want to give your new client the same access as an existing client. Go to the existing clients Adminimize settings page, export the settings, and then import into the new website’s Adminimize settings and you’re good to go. As you can see, there’s real reasons that we’re using each of these plugins and together they allow our business to run and they should allow yours to run also. There’s no overlap in plugin functionalities and the majority of these plugins are FREE! We’ve seen this group of plugins be used together to build over 400 websites and they are part of the base install we use to build all our client’s websites with, so there’s no reason you can’t also. We’re all here to help each other. Let’s share ideas and what’s working and what isn’t. Great article and excellent default tools to use. For security, I would add NinjaFirewall as a must install plugin. Great! I’ll check it out. Are you using it with something like Wordfence? On every site I make I install WP-rocket caching plugin. It speeds up the site by a fair amount and is very clever written – it works even quite well if you don’t change any default setting. The other plugin is from the same guys and is called Imagify. This is a hosted service that hooks in to minify your images but also can give you the possibility to reduce any uploaded image to a max size. Preventing your customers to fill the server with 12Megapixel phone images. The free plan is for most sites enough to keep your media library lean and fast. The paid plan comes with an API key and can be used everywhere so you can offer it as a service. Great site and helpfull resources. I have enjoyed your 30 days to master BB series! Now, without further ado, here is my list. Mind you Postmark is not free, but a a rate of 1.50 US$ for the sending of 1000 emails I would’t dare to call it expensive. Members Justin Tadlock’s free alternative to Vladimir’s User Roles plugin. Members fades into the WP admin background and it is hard to notice where WP ends and Members starts, which to me is important because I won’t have to deal with flashy or badly styled plugins. I know that design is subjective, but if a plugin blends in with WP it always makes me smile. In order to extend Members I use this exstention: Members Role Levels, again by the great Justin Tadlock. If you do not like to fiddle with all the settings in user Roles or Members, there is a alternative option, both in the Free and Premium version: Webmaster user Role by TylerDigital. This adds a new “Admin” user role between Administrator and Editor. As TylerDigital describes it ; “Perfect for clients and those who know just enough to be dangerous.”. WordFence, with out a doubt. I either include the build in WAF, so no need for Ninja Firewall, which is great by the way, or extend WordFence with a couple of Jeff Starr’s fantastic plugins: Black Hole for Bots(LOL) and BBQ – Block Bad Queries, preferably the paid version. Yoast is great, but its UI is getting out of hand and there where some problems with the last couple of versions. So here is one great and free alternative: The SEO Framework by Sybre Waaijer. Since there seems no end in sight as to how many plugins we are installing on our sites we need some way to monitor the performance of our plugins. For this purpose I install Query Monitor. This allows you to view debugging and performance information on the database queries, hooks, conditionals, HTTP requests, redirects and more. Go nuts, install a dozen more plugins and kick out the slow performers or nag the Dev to death about his badly contstructed WP Queries and demand that he fixes this a.s.a.p. Have you tested the firewall in Ninja VS WordFence? If so, what were the results? I’d love to hear this. I have not tested Wordfence’s WAf against NinjaFirewall. In the end both programs are complimentary to each other and fill in specific gaps. My basic setup always is Wordfence and BBQ and Blackhole for Bots. Are we going to use the free or premium versions of both Wordfence and Ninjafirewall? Wordfence free users get updated WAF rules 30 days after the premium subscriptions have received them. NinjaFirewall WP+ has a couple of nice features added to it like responce body filtering, IP based access control, rate limiting for agressive bots, GEO access control, URL and Bot access control. In the end NinjaFirewall is a dedicated program focused on one specific task and that specific task is being a WP WAF. Wordfence does a lot of other things besides being a WP WAF, like password strength monitoring, filescanning (hello base64!) and keeping track of outdated plugins and warning you to update them a.s.a.p. Besides that, at least in my opinion, both WordFence and Ninjafirewall are the last steps I would apply in the server stack to protect the sites I manage. If you run a large mission critical site I would suggest to reinvest some of the money your site earns into Imperva’s Incapsula in order to help protect your (WP) site. But it all begins with good hosting, prefabbly dedicated WP hosting, and log monitoring, log monitoring, log monitoring, looking for php and SQL injections and then applying the ban hammer with Fail2Ban. On the sites I manage people get one change and one change only before they get a minimum one month ban. I also monitor IP addresses and look for other offending IP’s from the same network. If this happens to be the case, and the IP addresses originate from a country my clients do not cater to, I have no problem to block a whole 16 bit range basically banning 65,536 ip’s in one go. After a month of no repeat bad behaviour we can think about wether or not the offending network get’s a second change. But i am starting to digress. When do you plan on comparring both Wordfence and NinjaFirewall? I am very interested in reading your results and findings. TBH I am no security expert when it comes to WordPress. I have been around the industry for a while now to know that it is a full-time gig and my place is in design and dev. When I worked for a large medical company, we had a separate IT department who focused on all this security stuff and liased with a hosting company who set up a custom solution for our website there. For the small business websites I do I price them accordingly and take regular backups with the security plugins mentioned in this article. If it were a mission critical website I would hire a third party to set up and monitor the security and built that into the fee for the client and if that didn’t fit the clients budget I would not take on the project because I know I am not a security expert. You know a lot about the subject. Are you working in a WordPress security type of role? Excellent post, thanks! I now have a few more ideas and things to try with a couple of the plugins you mentioned.